This farmstead cheddar highlights the natural flavors found in our farm’s backyard. 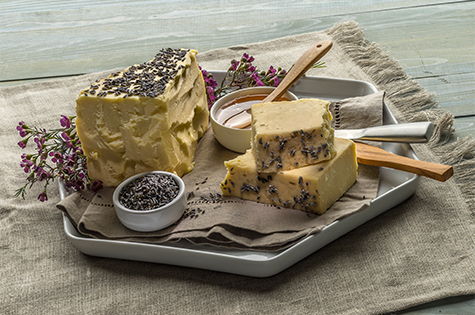 Made with our premium Holstein cow milk and hand rubbed with local honey and lavender, this cheese brings a relaxing sweetness to your senses. This farmstead cheddar provides a fiesta of authentic flavor. 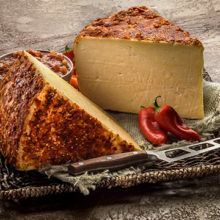 Made from our premium Holstein cow milk and marinated with our handcrafted red salsa, this cheese features amazing a spicy interior with an extra kick of heat on the rind. 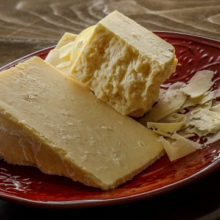 This farmstead Monterey Jack cheese is packed with intense and pleasing flavor. Made with our premium Holstein cow milk, pressed with diced peppers and infused with an authentic handmade salsa, Wasatch Back Jack delivers an unforgettable kick. 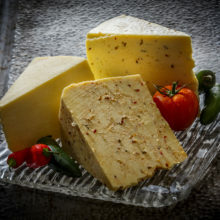 This farmstead sharp cheddar delivers a divine and intense bite. Made from our premium Holstein cow milk, and aged for six years, the cheese is covered in a delighful crystalline texture that graces you palate with strong citrus notes. 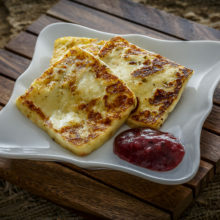 A Finnish name, meaning “cheese bread” this farmstead fresh cheese is a unique culinary delight. Made with our premium Holstein cow milk, this cheese is meant to be fried, grilled or baked. Whether served alone or paired with a fruit jam or pasta, Juustoleipa will surprise you with its mouth-watering buttery flavor.